In August my debut CD for the Naxos label came out , containing the first 15 Sonatas of Padre Soler . It was the CD of the month for Naxos in Germany and it is already receiving very positive reviews. Of course that makes me happy and SMILE . Nobody knows really the circumstances in which I made this recording! I remember the recording session was scheduled in Girona , Spain , sometime in February.I remeber flying there through Munich airport …and the weather was horrid : an unbelievable snow storm had struck entire Europe and flights were delayed for many hours everywhere including Munich.I was stuck on the plane , on the runaway for a little more than 7 hours , a day prior to the start of the recording session.Finally we reached Barcelona airport around 23.30 , and my suitcase was of course lost .All my scores , with my markings and my fingerings were in that suitcase together my contact lens solution, my contact lenses,my reading glasses, all the necessary things to play , perform and …see.The next morning was based on searching for an optician in Barcelona that could provide me with a pair of contact lenses and then rushing to the recording session without any printed scores. 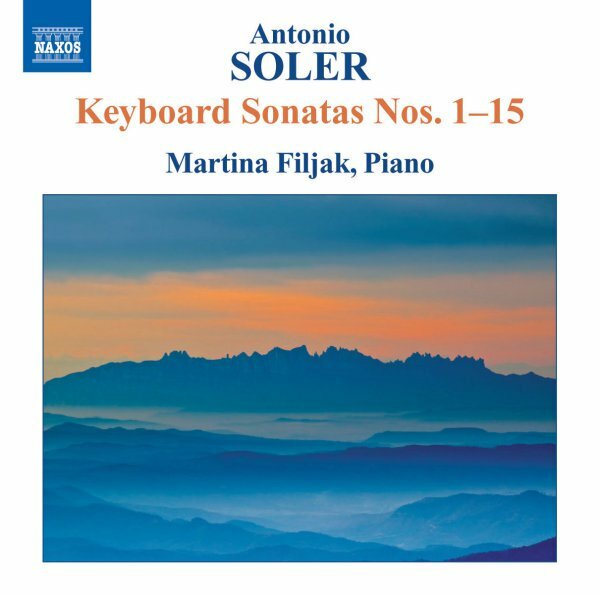 It took 3 days to record all the 15 Sonatas – they turned out to be about 79. minutes in duration , including all the repeats . My suitcase arrived on the 4th day only. Congratulations on your first release, Ms. Filjak! I sincerely wish you the best in your career and am eagerly looking forward to your second. Is there one in the offing? Dare I hope it contains some works by Russian and Soviet composers? With you as my inspiration, I began working on Scriabin’s Nocturne for the Left Hand to perform locally in October. Henle’s Urtext arrived two weeks ago.